Just my way of saying 'thank you' to all of my followers this year. 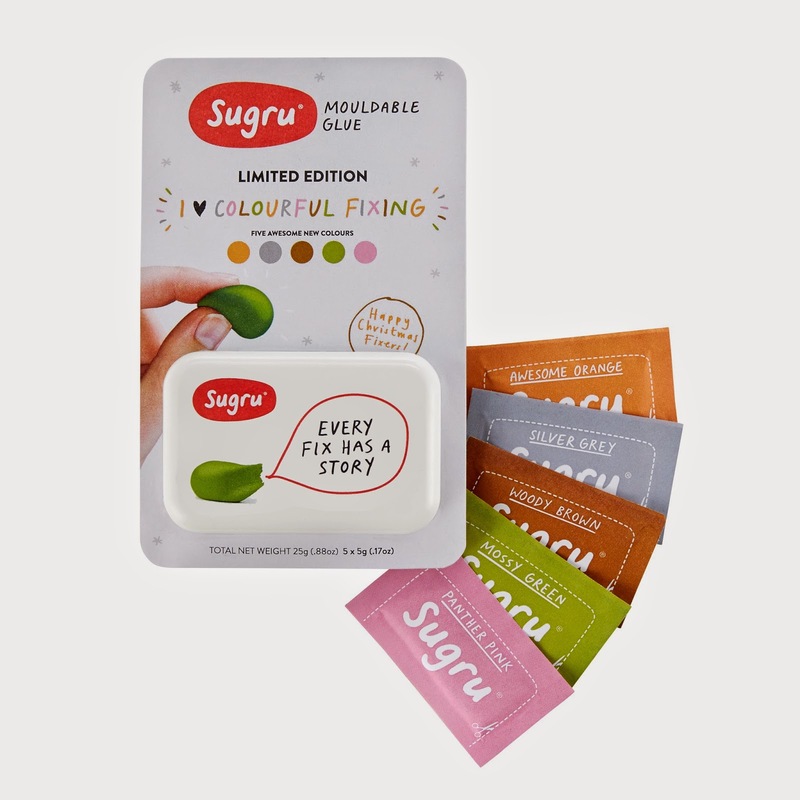 Sugru, the world’s most addictive mouldable glue that allows you to make, modify or fix nearly antyhing has just introduced a range of new colours in time for Christmas all packaged neatly into two limited edition tins - the perfect stocking filler! Available exclusively at sugru.com from 21st November, we’re giving away 2 tins containing five of the new colours to inspire some creative DIY this Christmas (includes Awesome Orange, Silver Grey, Woody Brown, Mossy Green and Panther Pink). If you’re not already addicted Sugru, here are just a few reasons why no Christmas should be without some of this magic putty…. Simply apply, shape and watch it transform into a flexible rubber over night! For your chance to win 1 of 2 tins of Sugru you can enter via the Gleam entry form below. I would give it to my handy husband! I give some to my Dad who I'm sure would find a use for it. I'd use it for fixing my Disney Wikeez to the side of the shelving to form a display! I would give it to my hubby who's always having to mend things. Give to my other half for his models. I'd give it to my hubby, I'm sure he'd find plenty of uses for it as he does most of the DIY. I would give it to my husband as he mends everything in the house. I tink this is a present for my dad!! In my other half's stocking, something new for his workshop would make his xmas! I'd use it to hang wedding decorations! I would put this in my partners christmas stocking. I know he would love this! I would put sugru in my husband's stocking in the hope that he would fix a few things around the house. I'd put it in my other half's stocking, he loves things like this & would have fun with it! Not heard of Sugru before,would keep it safe in my stocking because i would know where it was! I'd put it in my own Christmas stocking :) for doing bits and bobs around the house. I haven't heard if this before, however the kids school are always sending them home to make something, we have just created a Viking long boat and up next is a space rocket so I would keep this handy for those projects!!! Sounds like it would be perfect for crafting - not heard of it before, but looks really interesting! I'd use it to mend my son's Buzz Lightyear - he keeps dropping it and poor Buzz's helmet is usually hanging off! I'd give it to my sister as she's a crafter and can think of amazing ideas just like this! id put it in my fiances stocking he loves little life hacks and this stuff is brilliant for so many life hacks! Peter's - as long as he keeps it away from Violet! I would use it as a Secret Santa gift at work. It would also be perfect for our workplace as there is always something to stick or mend and we are always caught out. As well as repairing things with it I would have a go at making some interesting jewellery. I have broken so mnay things lately I think I need this in my won stocking! I use it for fixing kids toys a lot. But these cute colours I would use a bit like Fimo and make xmas tree decs. i'd give it my husband as he would have lots of uses for it! My nephew would find lots of uses for this! This would go in my husband's stocking in the hope that he might start to fix things! I would give this to my partner, she loves to fix stuff, and model things, so I bet she could come up with something great. Definitely give it to my hubby. He loves fixing things. definitely would love this for the husband! To my hard to buy presents for dad! To my hard to buy for dad! This is absolute genius! I would put it in my husbands stocking. He loves nothing more than fixing things. 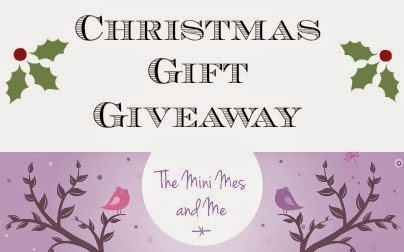 This sounds fantastic, I'd put it in my hubbys stocking, thanks for the lovely giveaway. I'd put this in my fiance's stocking as he is the DIY person round here and this is something that we haven't seen before. I would put this aside for fixing any problems with my daughters toys because she gets so upset if anything of hers breaks, so this would be perfect for that!